These Icons were done as part of my Icon-A-Day tutorial sires. 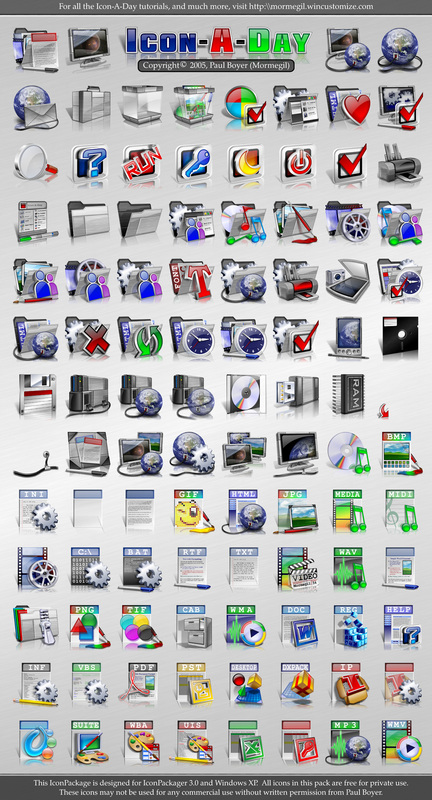 In the 1.1 Icon Pack all Icons have been updated to include 256x256 Windows vista Icons. This is the last update to the 1.0 Icons, as I will be starting a new Icon-A-Day Vista Compliant pack in March. It will be based on the original pack but with all the newly supported vista Icons Included. Live Folders are not showing when I apply the Iconpack looks stunning just not showing live folders for me?